As we know the front office staff is the important key point of a hotel due to its major importance in revenue earning on sale of rooms. So, the employees of this department should have some quality in their personality, character and also in physical condition. Considering from this point of view, the hotelier should be attentive while appointing a person in this department, front office staff should try to achieve the following things in their personality. He/she must be neat and clean both physically and in dress (all wearing cloths). Hair should be well cut and well groomed. A mild/soft perfume or body spray may be used but not too much to avoid sweaty odor. Jewelry should include only one ring and one necklace for ladies. Armbands or metallic neckwears should be avoided. Furthermore, they should have a charming personality. They have to be cultured and up-to-date because in international hotels where most of the guests are foreign guests and the environment is cross-cultural/multinational, modern and sophisticated one. Front office staffs must be found at their best with a smiling countenance. Maintaining clean and fresh looking appearance. Brushing teeth twice in a day. Physical Fitness: In the front office desk, and lobby area, every one performs his/her duty in standing for 8/10 hours everyday. During working hour there is no option to seat and no seating arrangements are available for the hotel staffs as per hotel rule. Therefore, physical fitness is a must for every hotel staff especially for front office staffs while standing on duty time. Smiling Face: Front office staff should maintain cheerful attitude and smiling face while dealing with guests. Thus guest will feel free and comfortable if he/she finds the staff with a nice smile. But the staff should never have a plastic smile. Memorizing skill: Good memory is one of the best supports in service life and here in front office this quality spotlights the deserving one amongst all the front office staff. If he/she can remember the names and faces of the guests that will promote his/her salesmanship. So, remembering guests names is a remarkable quality. Etiquette and Manner: Etiquette and manner are the essential quality that every front office staff has to possess whether it is small or large hotel. Especially the star level hotels are the meeting place of the elite of the society. In this level of environment good manners, courtesy and politeness must be maintained in service. Wishing guests as per time of the day and using magic words to satisfy them are important traits of hotel staff. Honesty: “Honesty is the best policy” – this proverb deserves to be remembered during the whole service life. Without adherence to this basic quality, good traits in character will go in vain. If one does not have honesty in all activities, future career is all in a hoax. Control your mental stress, while you are on rush of handling lot of guests or while on too much work pressure at reception or each counter or at bell desk, have patience and do everything smoothly. In all difficult situations or while dealing with a difficult guest—you have to be tolerate, calm, cool and patient. As we know that the guest is always right. But whatever you do—you have to do in accordance with the hotel’s rule and law of the band. Make right decision and be ready for taking instant decision because sometimes these are required to operate functional activities. So, while handling some unusual problems or situation and unusual guest request—you must be very wise and intelligent in making a quick decision. You may not be able to keep all the request of guest since you have to also remember the hotel’s interest and law of the band. In big hotels you may often meet a difficult guest or difficult situation and in this case a diplomatic and clever dealing will help you to avoid the explosive situation. Suppose the guest has come with confirmed reservation but you don’t have a room. Now, make a diplomatic approach and satisfy the guest with a pleasant arrangement considering the case, time and place. But the suggestion would be not to have overbooking. Be specific, clear and correct while giving and taking information. Listen correctly—understand and give feedback. It is better to know more than one or two languages. Almost all hotels require you to speak fluent English. To maintain a good guest relation you have to achieve effective communication skill and for that you have to overcome the language barrier. You must be confident in everything you are doing. If your expression shows that you do not have confidence in your activity, the guest will not feel comfortable. If you know your job and if you are honest, you will have confidence in doing everything in your job. Never get the habit of procrastination in your job. So, do not delay—don’t keep anything pending—do it now. In hotel job nothing should be kept pending. Explain all the amenities and facilities to the guests and try to motivate them to use all the facilities of the hotel. Thus you can help in sales promotion and earn more revenue for your hotel. Pay importance to guest’s complaints and try to solve them as soon as possible. Don’t try to escape or ignore the complaints—face it and solve it. Normally guest always tries to speak to reception for anything he needs. In this case if necessary coordinate with other departments to meet guest’s requirements. Help the guest with all kinds of city information including travel and air support. Now, if you can achieve all the above essential aspects in your profession then you are the best team in front office of a hotel. I believe if you have integrity and enthusiasm then you can achieve all those things in your personality. 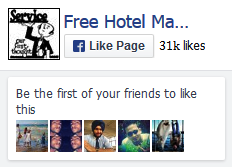 And thus you can make a superior service to your guest and earn the name and fame for yourself and your hotel. Thanks for showing interest on our training manuals. We have sent you a detail email. Please respond there. You could buy our housekeeping sop collection. Email us if you need more assistance. Thank u but how can I access more about front office. And how to sale rooms and other service in hotel. Would you like to send us more receptionist etiquete more polite and excellence service to our guest. Please include me in your mailing list. Please also advise me hou to purchse the tutorials. how to purchase complete tranning material? please advise us how to purchase the training material. Thank you very much, this has helped me.